What’s in a favourite movie? The question was on a list for a social media quiz. None of the movies presented were on my radar. I hadn’t even heard of them. The google machine confirmed each one had, unbeknownst to me, actually made it into theatres. I guess I don’t get out much. Do you have a favourite movie? I’m torn between two. Neither has seen recent release, but I have them both on VHS. Yeah, I definitely don’t get out much. For the longest time, or so it seemed when I was under twenty-five, my top pick was the 1967 movie version of Lerner & Lowe’s Camelot. The songs were earworms, and easy to sing along or alone. Camelot is a tale of hope and of human frailty. No matter how many times I watch it, I find myself hoping that Queen Guenevere and Sir Lancelot will stay loyal to the vows each had made to King Arthur. Mournful, yet hopeful. Set to the life tune of human frailty. I encountered my second top pick on the north coast of British Columbia one Christmas Eve on our 13” black and white tv. Growing a bit weary of Ebenezer Scrooge, I switched channels (back in the day it was necessary to stand at the television, rotate the dial, and adjust the antenna). The late discovery was Frank Capra’s 1946 classic, It’s A Wonderful Life. Camelot remains a great escape from reality. But Jimmy Stewart filled the shoes of George Bailey in a way that captured my heart. Stewart conveyed with eyes, facial features, and necessary words only, the dreams of youth, and the adult reality of letting them go to fight the daily battle of Bedford Falls. George watched friends and family fulfill their dreams while he steadily held together “the old Building and Loan,” an independent credit union, all the while not realizing he was actually holding together the whole town. George Bailey was more everyman than Arthur of the Round Table. The similar theme of hope and human frailty pervades, but the Capra-corn movie ends on a higher note than the musical. The closing scene in Bedford Falls reveals that even the by-the-book bank examiner’s heart has been warmed by George’s worth to those whose lives he touches. The crusty examiner contributes from his own pocket to the effort to spare George the long prison term that would accompany evidence of missing Building and Loan funds, the same missing funds that had driven hope out of George’s life on Christmas Eve in my living room. There are echoes of some of my own prayers in George’s words. Do you have a favourite movie? Is it pure escapism or does it speak to you? About you? Both of these movies speak to me. And both speak about me. Neither Arthur nor George arrived where the dreams of their youth would have landed them. Still, by the end of each movie, both found that where they were was where they needed to be, for their own sake and for the good of others. Camelot offered the appeal that someone – Merlin, who lived time in reverse from future to past – had glimpses of how Arthur’s life would unfold. It’s A Wonderful Life presented assurance that Someone – Our Father in heaven – understood the plan for George’s life, the tragedies, trials and joys that stitched together a tapestry to display the importance of George’s life – each life – to individual, family and community. As a friend of mine says, “It’s about the journey.” You needn’t necessarily set aside your dreams, but you can seek the joie de vivre – the very real joy of life – where you are right now. Seeking necessarily involves more than a glance. Your life is significant, whether you can see it or not. Earnestly seek and you will find. This is a shorter version of the blog Under Siege: What it’s About originally published March 22, 2017 at Word Alive Press. 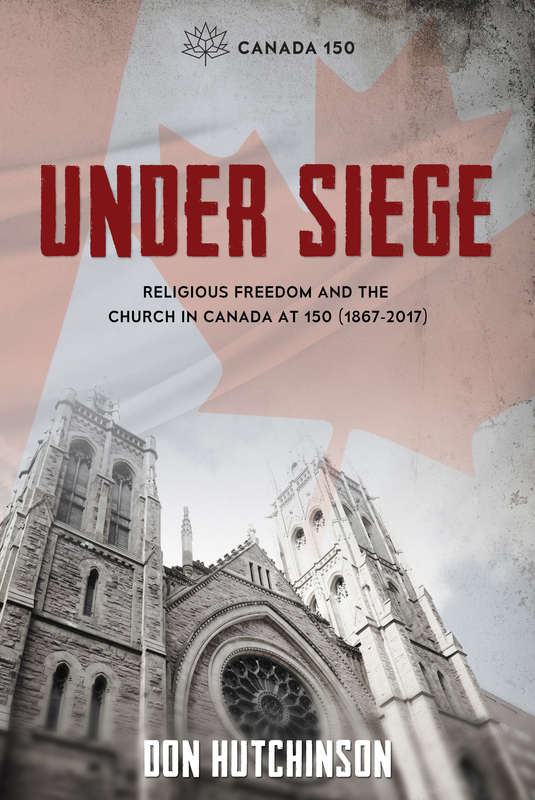 UNDER SIEGE: Religious Freedom and the Church in Canada at 150 (1867-2017) is my first book. Writing and publishing Under Siege was intimate and personal, and also not possible without intentional interaction with others in the Body of Christ. In April 2016 I was invited to speak at a pastors and spouses conference taking place in October 2016. The request was for two keynote talks on religious freedom, a subject that has been woven into my adult life through education and experience. One talk would be about religious freedom in Canada and other about the global persecuted church. Somewhat uncharacteristically, I started work on the project early. Long before the deadline was even on the horizon, I was praying, outlining, researching and capturing thoughts—I sleep with a notepad on the nightstand. Waking early one morning with the idea of turning the Canada talk into a book, I scribbled out three section heading ideas and many of the chapter titles before going back to sleep. Beginning that morning in May, work on the talk was combined with work on the book. 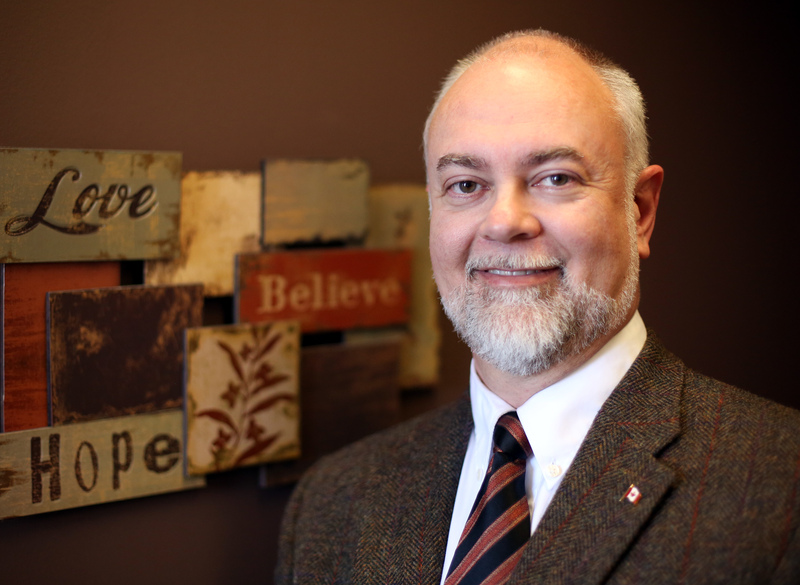 At the same time, I was finishing teaching a course on living a public faith; part of the apologetics training year at Ottawa School of the Bible—OSB is a practical understanding and application Bible school that is an initiative of the Lifecentre, and is accessed by students and pastors from across the city. I was teaching those in or interested in Christian leadership, and in October I would be speaking to pastors and their spouses. As a result, I found myself writing for Christian leaders, pastors and their spouses. 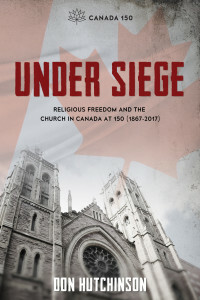 There are well written books on religious freedom in Canada for lawyers and academics. 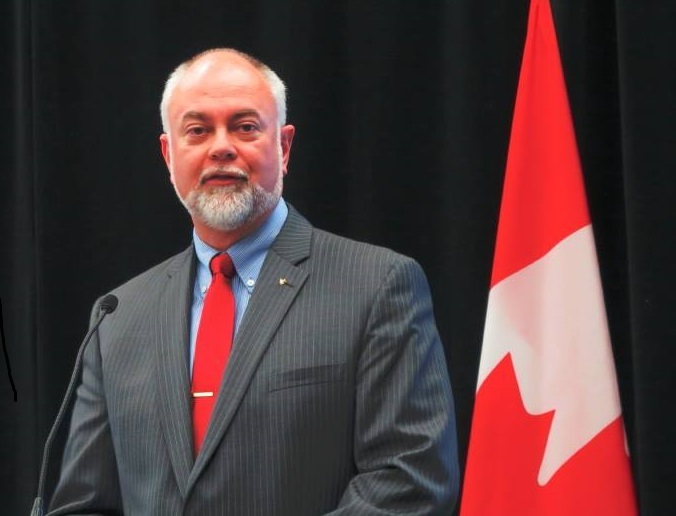 Distinct from those who engage the courts and in universities, missing was something designed to equip the troops who are engaged in the daily frontline spiritual warfare of 21st century Canada. 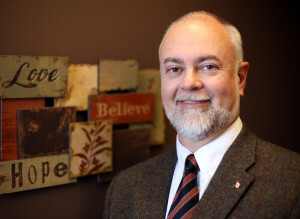 Christian leaders minister in a human rights minefield, both real and imagined. They are the people who will primarily benefit from an accurate understanding of the Canadian situation. Under Siege is written for them, for us. It wasn’t until late August or early September that I convinced myself I was actually writing a book for publication and willing to accept the responsibility to finish the task. I’ve written blogs, opinion pieces for newspapers, and had a regular column in Faith Today. But I hadn’t written a book until Under Siege. As a result, I started seeking advice from people who had written, edited, published and marketed books. When I was about seventy percent of the way through the writing process (and thinking I was ninety percent done) I invited input into the process from members of my target audience, pastors and Christian leaders, and some constitutional law lawyers. The lawyers were qualified to review my comments in the specialized constitutional law area of religious freedom. The pastors and Christian leaders gave me feedback on how to better communicate various concepts I was writing about. Finally, when the draft was complete, I invited a couple of dozen people to read and comment on the full unedited text, including most of those who had input at the earlier stage. They had a four week deadline, which coincided with the deadline for approving the final edit of the text. I am exceedingly grateful for all who accepted, including those who ran out of time. As each one was also invited to consider writing an endorsement, I ended up with seventeen endorsements from a good cross-section of Christian expressions and experience. I was excited— I cried when I read them all together at the deadline. For editing, it was a privilege to work with an experienced, young Christian author/editor who was interested in the topic of my book. He held me to task on improving my footnoting, strengthened grammar and made good suggestions for adjustments in the text. Cover design and layout were done with similar thoughtfulness and professionalism. Throughout the process I asked for advice from both the Word Alive Press team and a small group of personal-friend advisors—people praying for me while I was writing—who shared their thoughts on what they read, and were also invited to comment on cover design and layout. In the end, Under Siege is available in offset and print-on-demand paperback, and a variety of electronic formats. I applied for and received a license to use the Canada 150 logo based on the theme of the book, which only allows printing with the logo until the end of 2017. Extra fees would be required to remove the logo from print-on-demand and electronic formats effective January 1, 2018, so the offset press paperbacks printed by Word Alive Press are a kind of special edition Canada 150 cover. Get ‘em while they’re here! Today is my Dad’s birthday. I spoke at the memorial service for a friend’s father on the weekend. I’ve modified those words slightly, but thought I would share them with you. 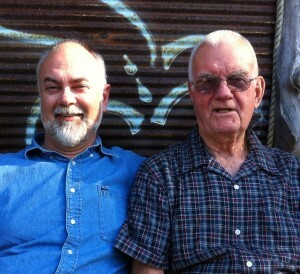 Miss you, Dad. In January 2014 I enjoyed the privilege of my first visit to Israel. One of many special experiences was time to reflect while visiting the Church of the Beatitudes, located at the top of the mount where Jesus of Nazareth spoke to thousands assembled down the sides of the big hill. Seeing the crowds, he [Jesus] went up on the mountain, and when he sat down, his disciples came to him. This talk was shared with what was perhaps the largest gathering of people ever to hear Jesus speak. It kind of makes you wonder, why would Jesus start perhaps the most significant public talk he ever gave with words of blessing for the poor in spirit and those who mourn? The Teacher begins his monumentally important message, delivered from high above the shore of Galilee, with words of promise for those wrestling with the realities of life’s challenges, including some of life’s most difficult questions. It may seem little consolation to know that we live in an imperfect world, where difficulties and death are very real parts of life. Even for those who accept the story of a long ago garden where the first sin plunged our world into disarray, it may be of little comfort to consider the truth that our lives are daily impacted by the brokenness of living in a fallen world. That truth is most difficult to grasp when the brokenness is directly impacting us in ways that cause almost uncontrollable emotion within us. The pain, questions, even feelings of helplessness are balanced by one thing. Realizing that God is Lord over all of it. He knows. He knows us. He knows what we are experiencing. In and through it all, He remains God. The God who is ready, willing and waiting for us. Remarkably, He is a God – He is the God – who hurts. He hurts with us, and hurts for us, in our difficulties. He doesn’t back away from us in our struggles and imperfections. He draws nearer with words that remind us that our weakness is known to Him; and, He responds to us in our weakness. Jesus’ friend had died. Jesus wept. Jesus knew He was about to perform an amazing miracle that would bring his friend Lazarus back to life. But, He wept. Did Jesus miss His friend? Or, were those tears for Lazarus’ family and friends? Tears of empathy and understanding in their loss. God knows when we are hurting. He knows each of us is hurting with varying degrees of hurt. God knows that it is the rare death where the survivors, those who remain to carry on, don’t have regrets about words unspoken or deeds undone – whether their own words or deeds or those they hoped for from the deceased. But, time ran out. The words remained unsaid. The deeds undone. Future plans not able to be fulfilled. The question is, “Are we willing to admit that we’re hurting?” God isn’t just aware of the hurt, He feels the hurt right along with us. He knows we need reassurance in our time of loss, and He offers it. He guaranteed it in public before thousands of witnesses. We. Will. Be. Comforted. But, only if we let Him comfort us. I’ve spoken at a lot of funerals. I didn’t know the man whose funeral I spoke at on the weekend and I don’t know most of you, your life’s story. I do know that when death intervenes, you will consider that your relationship with your loved one or friend could likely have been better than it was, and also had some shining moments you hope you will never forget. And, I know that there are and will be moments when you will need a sense of comfort as you reflect on the relationship. Those moments continue long after you think they should have come to an end. God has promised His comfort. But, only if we let Him comfort us. More than comfort alone, God Who is empathetic and understanding is also loving and wise. If we trust Him, He will make use of the troubles of life, and the mourning that comes with life’s ending, to meet with us and build into our lives something good that wasn’t there before. Although, often we won’t realize it until sometime later. If we’re not looking for Him, we might not even realize it was God who met us in our moment of need. For now, let me encourage you to rest in the simple understanding that God is good, even when life seems bad. He cares for us, even when we don’t know He’s there. He has promised to comfort those who mourn. He keeps His word. He is committed to connect with those who admit their need of His love and care, and to build a relationship with us when we do.